Oxygenetix is a breakthrough foundation, moisturizer and acne control foundation that covers, helps heal and minimize procedural scars. * Designed for doctors, our breathable skincare/makeup covers and treats a wide variety of skin problems: skin injuries, wounds, rashes, cracked, dry skin, acne scars, rosacea and other skin conditions. On post-surgical scars, patients are re-assured and impressed that after care includes safely camouflaging any evidence of surgery. 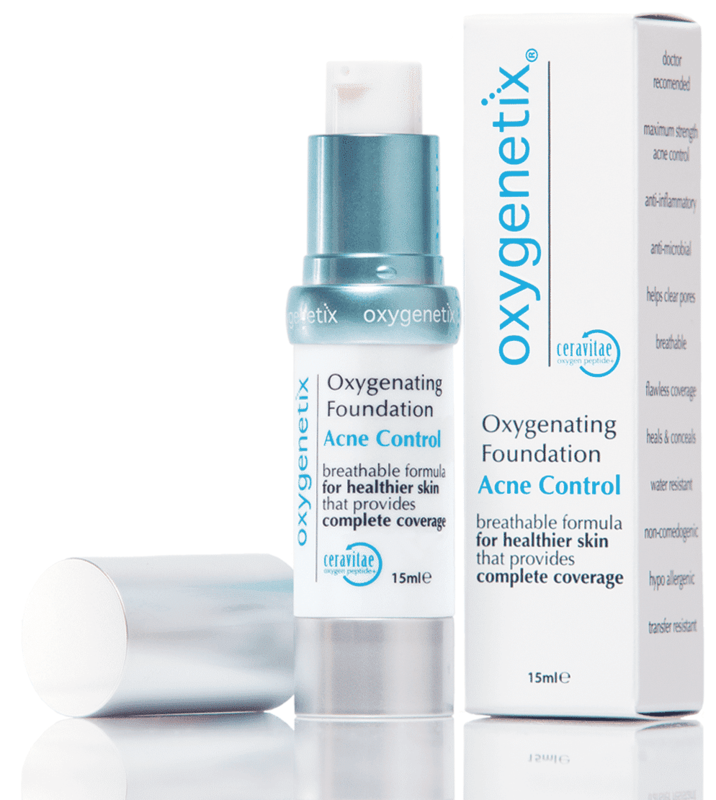 Oxygenetix breathable foundation containing Ceravitae™ Complex stimulates skin cell production and helps the healing process following most procedures. Oxygenetix Foundation soothes, heals and protects damaged skin thanks to skin-loving ingredients including: Aloe Barbardensis gel-base,Vitamin E, Grape Seed Extract, GreenTea, Salix Alba Extract and Glycerin. These oxygen-enriched, natural components make it virtually a second skin… and that is exactly how it feels: Your Perfect Second Skin! 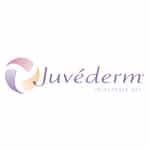 Oxygenetix Breathable Foundation – is a breakthrough foundation to cover, help heal and minimize procedural scars. * Designed for doctors, Breathable foundation covers and treats a wide variety of skin problems: skin injuries, wounds, rashes, cracked, dry skin, acne scars, rosacea and other skin conditions. On post-surgical scars, patients are re-assured and impressed that after care includes safely camouflaging any evidence of surgery. Ceravitae, the super charged oxygen complex found in all Oxygenetix products, proliferates collagen cell and connective tissue growth in aging or wounded skin. Conceal &amp; Camouflage skin imperfections while healing the skin at the same time. 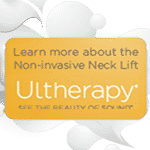 Ceravitae™ proliferates collagen cell and connective tissue growth. 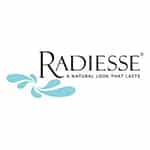 Helps treat rosacea, redness, acne, psoriasis, eczema &amp; wounds. Vitamin E helps to heal the skin. Aloe Vera Barbadensis calms, soothes, heals and cools skin. Breathable mesh network maintains and replenishes the skins moisture levels all day. Doesn’t smudge due to sweat or humidity. Stays on all day so no need to reapply. This unique and revolutionary formula was three years in the making! Since having identified the need for a treatment foundation we started working hard to create the perfect acne control foundation that is also an oxygenating treatment foundation developed to simultaneously clear and conceal the frustrating conditions of acne. Oxygenetix Acne Control Foundation features maximum strength 2% salicylic acid combined with our proprietary breathable delivery system. The prime ingredient in all Oxygenetix products is the pro- healing patent pending Ceravitae. This super charged oxygen peptide promotes the skins collagen cell production and connective tissue growth and attracts oxygen to the skin helping it to breathe keeping it strong and healthy. Ceravitae works synergistically with the 2% salicylic acid and is time released by body heat maintaining effective treatment levels throughout the day. Like the original formula, Oxygenetix Acne Control is Aloe Vera Barbadensis gel based and does not contain water that attracts bacteria to the skin. This new and unique approach provides many benefits including antibacterial qualities and protects compromised skin, whilst removing dead surface cells. Furthermore, it is transfer and water resistant, which allows it to stay on for hours even in humid environments. 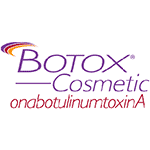 Its oxygen enriched and natural ingredients make it virtually a second skin. Anyone suffering with acne that wants to Clear & Conceal their condition is the ideal candidate for Oxygenetix Acne Control Foundation. This powerful treatment foundation should only be used until the acne has cleared, afterwards switch to the original Oxygenetix foundation, which does not promote acne breakouts. Maximum strength acne control clears skin fast. Aloe Vera Barbadensis & Vitamin E calms, soothes, heals and cools skin. Does not rub off on clothing. Clears acne while concealing and treating acne. No artificial dye or fragrance.